Manage the maintenance of the common areas. Act as a liaison to vendor for BOD and owners. Property Managers take all calls from homeowners to keep the burden off of the Board. Obtain periodic vendor service bids as requested by Board and process to Board for review/approval. Coordinate with Board chosen vendors. Receive maintenance requests from Board and unit owners, coordinate with Board as appropriate; take action to vendors and follow-up as appropriate. (elevator, garage gates, plumber, electrician) during other than normal CAC office hours. 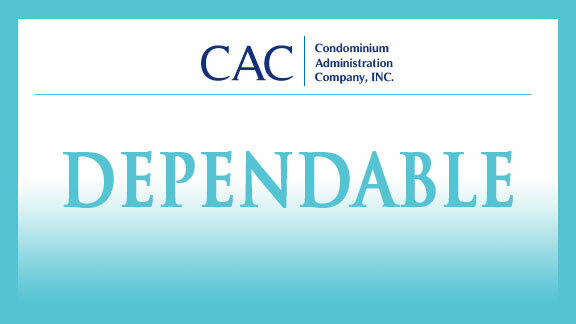 CAC on-site visits as scheduled. Property Managers attend Board meetings at frequency set by contract. Assist Board with Annual HOA Meeting. Coordinate vendor access to property. Maintain list of vendors with good track record. Send Annual/Special meeting notice and proxy form to HO’s. Welcome/info. letter sent to all HO’s. Obtain vendor repair bids as requested by Board for each item over $1000. Property Managers discuss with and guide Board on major repair issues based on our 40 years of experience. Keep separate set of books of account for HOA, including but not limited to general ledger, journals and paid bills file. Send monthly financial management report and disbursements journal to Board. Monthly aged accounts receivable report to Treasurer. Monthly: bank reconciliation, balance accounts receivables. Quarterly: post interest and reconcile Reserve accounts. Send bill with return envelope to all owners each month for maintenance assessment. Receive such payments and deposit directly into HOA separate Operating account at the bank, keeping records thereof. Delinquent payment follow-up: reminder notice on bill at 30 and 60 days, pre-lien letter at 60 days, lien filed at Board instruction, release of lien when applicable. 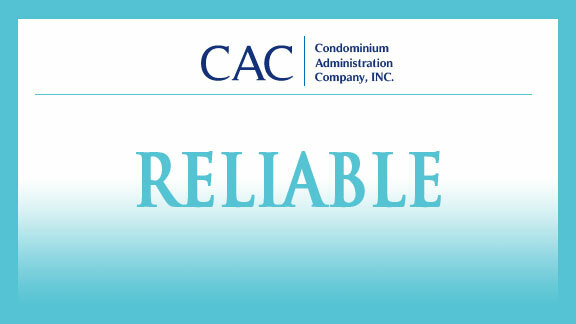 Post lien collection options and costs per CAC Collection Packet. Pay all bills out of HOA Operating account. 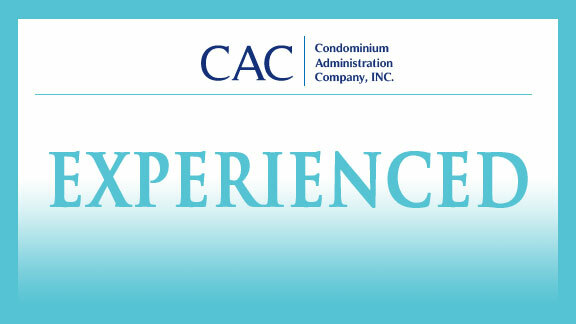 CAC has twice a month payment cycles. “Red Flag” reports sent to Board if applicable on cash-flow and/or Reserve deposit problems. Coordinate with HOA accountant for annual audit and tax returns. Accountant’s cost borne by HOA. Send annually FYE data requirements list to Board and mandated packet of info to owners. Deposit budgeted Reserves from HOA Operating account into HOA Reserve account(s) monthly, if funds are available. Tracking log for missed reserve deposits. File Notice of Assessment for HOA tract with County Recorder – small fee borne by HOA. Coordinate with property managers and owners on lender foreclosures and owner bankruptcies if applicable. Maintain a current list of unit owners with the assistance of property managers. Provide account history to individual owner when requested. Deal with individual homeowners on their accounts and coordinate with Board if necessary. 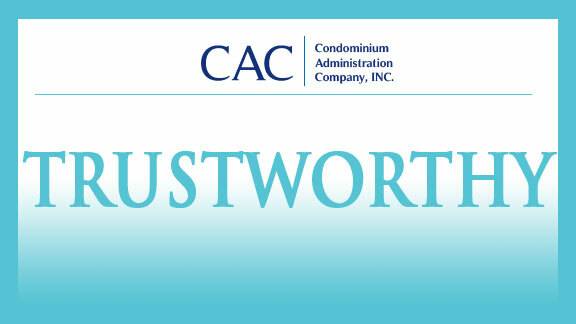 Coordinate Board budget input to CAC and enter onto monthly report. CAC bookkeeping system and reports are on a cash basis. Coordinate with escrow companies and lenders for resales and refinances cost form by owner, not HOA. 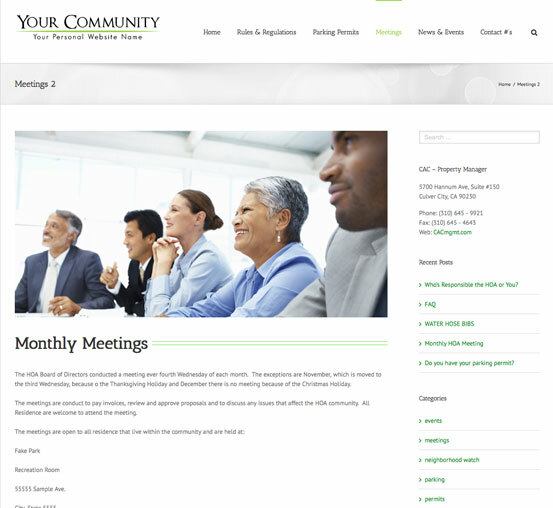 Discuss HOA operating and legal issues with Board members. Refer to attorney when necessary . Answer procedural questions for Board where appropriate based on historical knowledge. Help Board evaluate repair items based on our 40 years of experience. Guide Board through repair steps. Discuss Reserve study results and ramifications and remedies with Board. Coordinate with Board fining and violation procedures, forms, and follow thru. 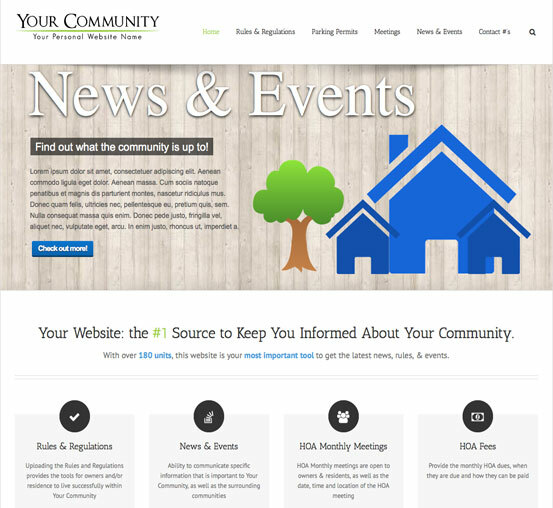 We can get your community it's own Community Website? Organization and clear communication is the key to managing your condominium community successfully. 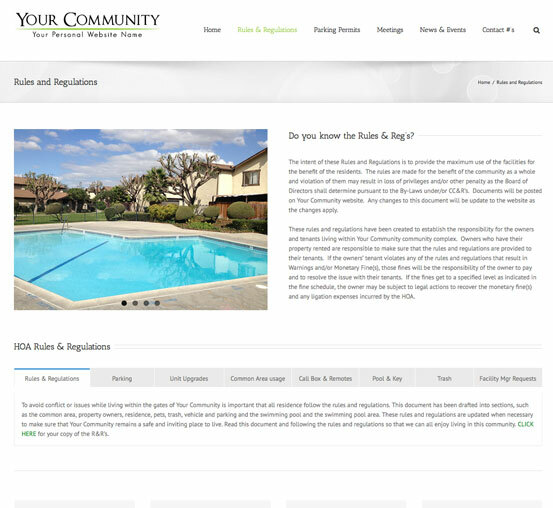 We can get your community online with its own website for accessing important property rules, forms, new, and events specific for your condominium community. emergency phone numbers and more . . .